Let’s talk about one of the most popular and most controversial types of ceilings on the market today: polyvinyl chloride ceilings, or PVC ceilings . Mostly a manufactured plastic, PVC is present in various elements, from toys and tools to some construction materials (as professional contractors will undoubtedly tell you). And now, some ceilings also sport this material, meaning it is now more present in our homes than ever before. Where does PVC come from? Developed in Europe in the 1970s, PVC cladding was first used for decorative interior wall finishes, thanks to it sporting unique properties compared to other options at the time. Today, for easy installation, PVC panels usually have a hollowz core and are quite lightweight with a smooth surface. Fewer additives: Compared to other plastic types and ceiling materials, heavily plasticised PVC, which is used in most cases, contains very few additives and additional ingredients that might make it dangerous. This is a far cry from the days when asbestos was used for the manufacturing of ceilings. Budget-friendly: The manufacturing and installing of PVC ceilings is not costly. As they are mass produced, they are available through various channels and from lots of different distributors. And seeing as they are available in a multitude of colours, you should have no trouble finding the ideal PVC ceiling to complement your interiors, regardless of style or design. 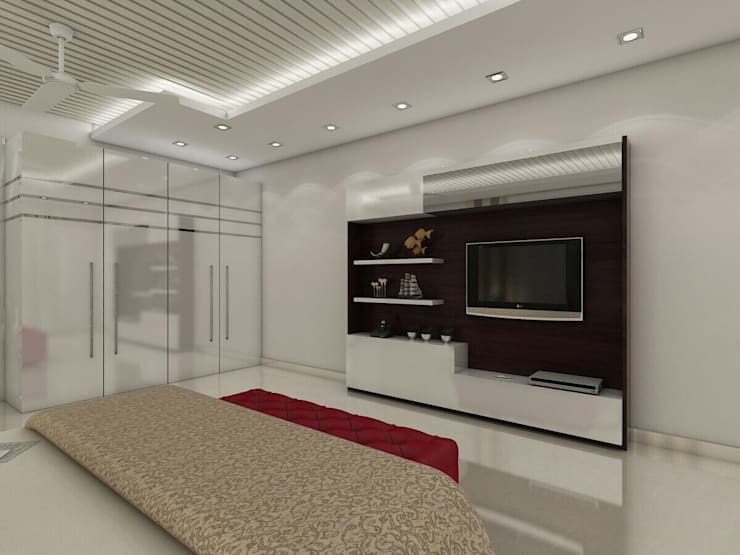 Durability: PVC ceilings are quite durable and sturdy. And while they are not the most attractive option on the market, they are ideal for when you require a long-lasting material with very little maintenance. 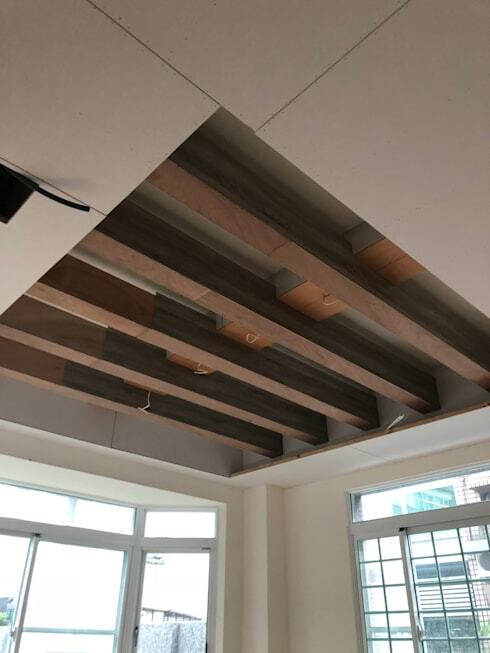 Humidity resistant: In addition, PVC ceilings are also known for being anti-fungal, resistant to corrosion, not requiring painting, easy to clean, termite proof, and waterproof. 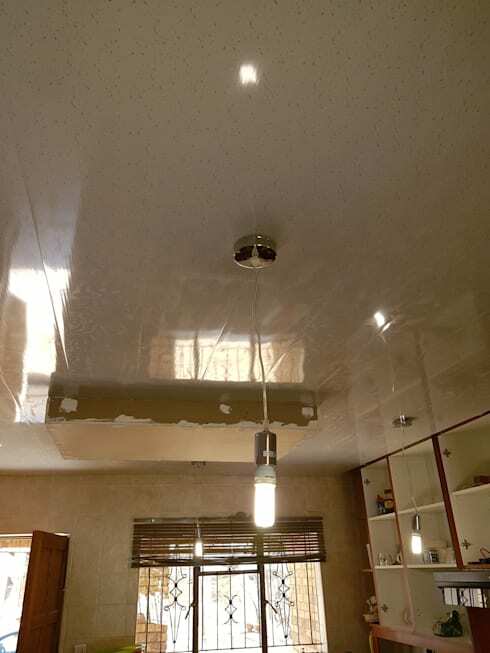 Release of chlorine: The biggest drawback of PVC ceilings is the fact that this material makes use of chlorine, which is a dangerous gas in its natural state. Obviously PVC pipes and ceiling materials don’t contain vast amounts of free chlorine, but it’s not impossible for the chlorine to break down so that minute traces of it can be released into the air. Not very visually attractive: As already said, PVC is not the most visually pleasing option. Want to flex your DIY muscles and install your PVC ceiling yourself? It’s definitely possible, as long as you adhere to the provided steps. •	Remember that PVC ceilings and cornices can’t be exposed to direct sunshine, as the product has no UV stabilisers. Remember that the maximum brandering space is 500mm. Line the brandering up, level or horizontal. 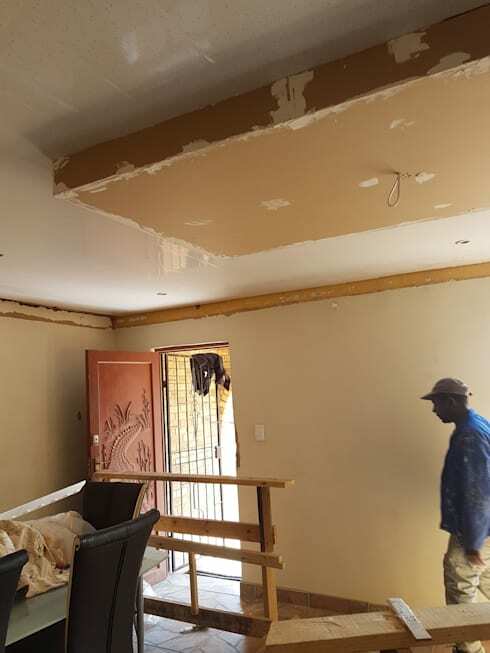 PVC ceiling panels can be screwed onto wood or steel brandering. When screwing your PVC ceiling panel onto the brandering, ensure you use the correct type of screw (TS16 or SSDS16 PVCSA-approved screw). The panels need to lay in the same direction as the main trusses. Ensure proper spacing between the walls when installing the ceilings. This is to help with expansion and contraction during cold and warm conditions. Check that the screw head is fastened properly. It must also sit flush with the ceiling panel’s groove. Clip the second panel with the tongue into the first panel’s groove. With the palm of your hand, knock each panel gently on the side to secure close fitment. Do this with every panel before carrying on with the next. To fit the last panel, cut it lengthwise using a carpet knife. Using the PVC cornice, finalise the installation. After the fitment is complete, dust the PVC ceiling with a cloth to remove all dust and debris. Not sure you’re ready to try and install your PVC ceiling yourself? 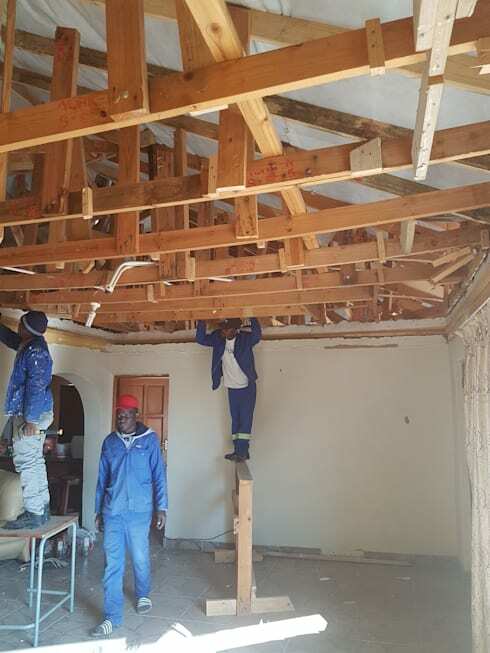 Then rely on the professionals experienced enough to handle this sort of task: Kgodisho Solutions and Projects. •	Roof designs and repairs, and numerous others. Be sure to keep them in mind the next time you need to upgrade and beautify one of the most important (and expensive) assets in your life: your house. From the top surface to the bottom, see these Floor Styles that Stand Out! Where in your home would you consider a PVC ceiling?